Which Edition Should You Get? 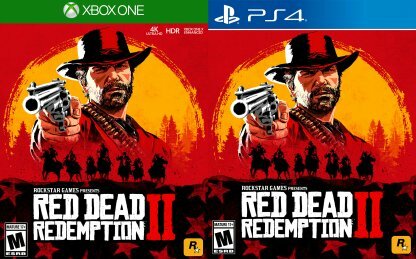 Check out the different editions of Read Dead Redemption 2! Find out about bonus content per edition, pre-order bonuses, and more to help you decide which edition to buy! 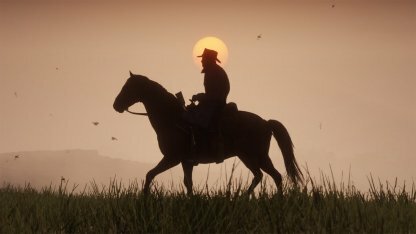 When it comes to how you want to experience the world of Red Dead Redemption 2, it all boils down to your preference. If you just want to experience the story of Arthur, and the adventures of the Van der Linde Gang, then this is the edition for you! 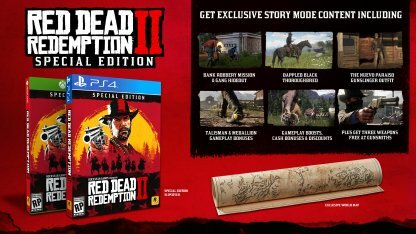 The Special Edition is recommended for players who want to get more out of the game's story mode. 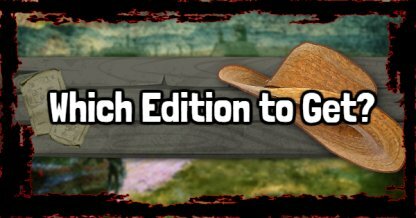 This includes extra story mode missions, free guns from gunsmiths, and gameplay boosts and bonuses! 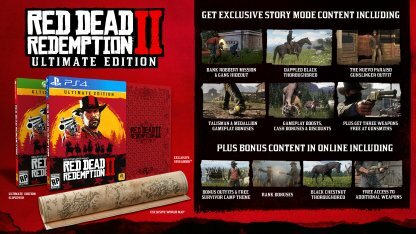 The Ultimate Edition is for players who would also want to get bonuses in Red Dead Redemption 2's online mode! If you want to get a leg up on the competition, then this edition has just what you're looking for! Depending on the edition you buy, you will be eligible to receive bonus content from the game! These will vary depending on which edition you have chosen. Pre-ordering the game will also reward you with benefits in addition to the bonuses and rewards given to you per edition! 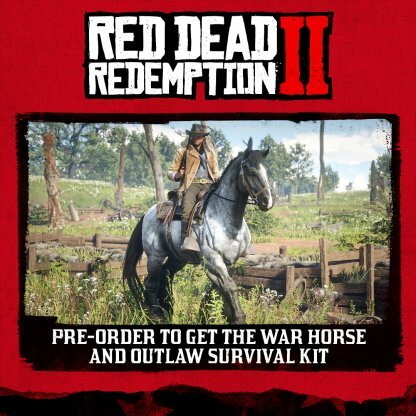 Pre-ordering the game will give you the War Horse, an in-game horse that has better stats than the average horse, and the Outlaw Survival Kit, a collection of items to replenish your health, Dead Eye, and more. All pre-orders will also receive a reward in Rockstar's other game, GTA 5. The bonus cash reward will be put in the player's GTA Online Maze Bank Account.